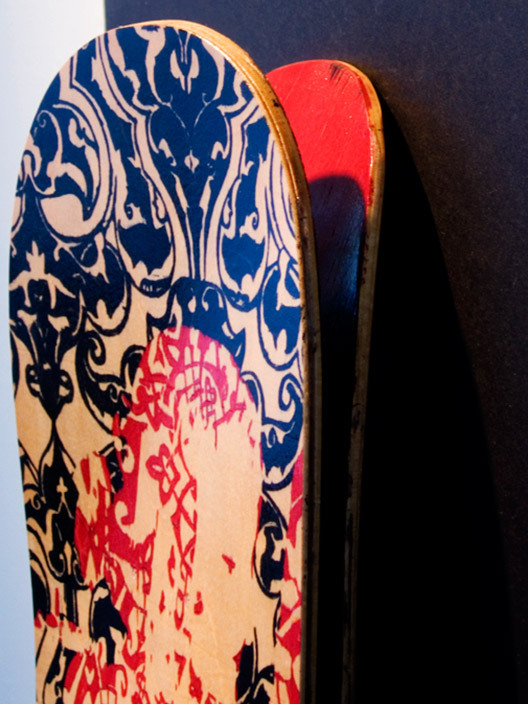 Commissioned skateboard deck produced for the Dicky V Foundation’s auction in conjunction with the ESPN X Games. 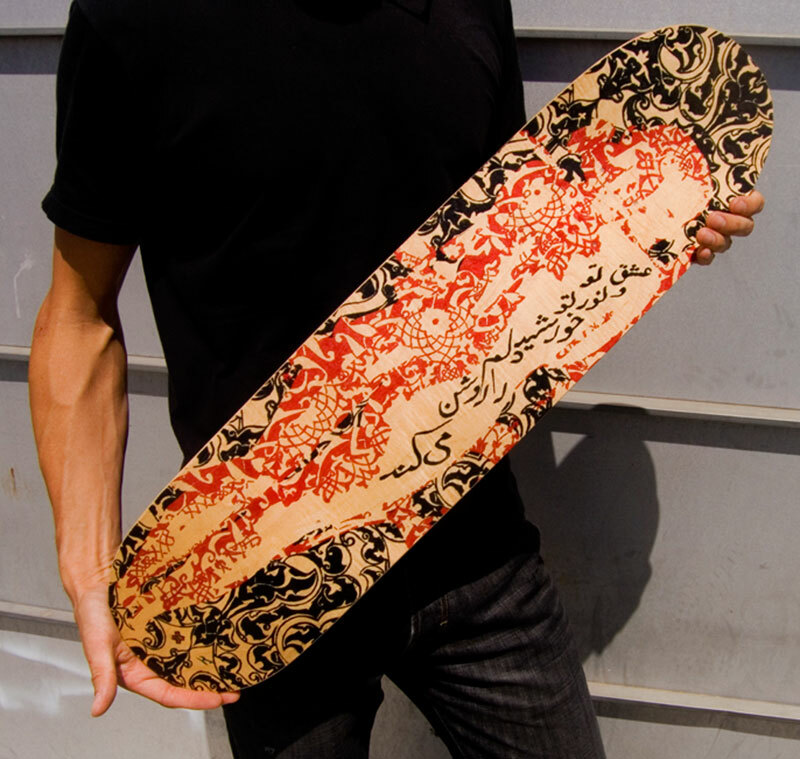 The design is hand inked using a calligraphy pen, which creates a natural, deep stained ‘tattoo’ effect with the grains of the wood. 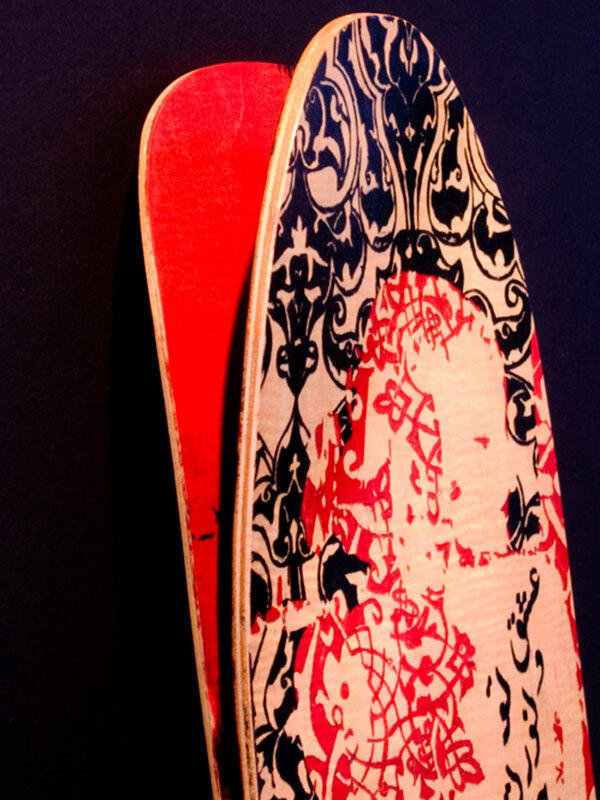 For this particular board, I recomposed the deck and gave it a ‘split’ for a vivid, emotional draw.